Another Winnipeg Fringe Festival has come and gone. The crowds have dispersed and the laughter has faded. Now it is time to sleep. 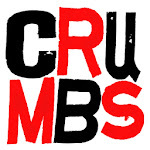 Thank you to all that showed up at the CRUMBS show at the King's Head. Some really really funny shows happened! Thank you to all the audiences and all the special guests at the Big Stupid Improv Show Fringe edition at the MTYP. Another great run of improv jam shows happened! Thank you to all that showed up at "What Could Go Wrong?" at the Fringe. This was a risk and "out of the comfort zone" that was written by a couple of improvisers (Stephen Sim and Caitlin Curtis) and was a delight to get on stage. Thank you to everyone who went to see "Revenge of the Meek" a show I helped make happen. It was written by Andrew Lizotte and was a religious comedy. The Winnipeg IF... Improv Festival Sept 29th to Oct 3rd! The festival line-up will be announced very soon and then tickets will go onsale!